Can anyone name pros of fidget spinners? It's supposed to help kids with ADHD, but I'm not sure how much proof there is of it. Yeah that's more of a distraction for them. It doesn't help them. Distracting is not helping. Plus isn't ADHD an attention disorder? This is kind of inducing it. It is claimed to help them, but yes, it doesn't seem to be working. In fact the opposite effect. Yep I've seen that kind of Fidget Spinner store locally too. It's crazy especially the fact that they sale the Ninja Star Fidget Spinner that is actually BANNED by the TSA. I am currently in the car, and will continue to be for the next 8 or so hours. I dropped my fidget spinner between the seat, and due to the nature of this rather packed car, it is currently irretrievable. Can not unsee this anymore. Thanks internet for this gif. Freaking Tahu is a Fidget Spinner Hipster. Phh, forget the Fidget Spinner, the rad, new thing is the Flip Spinner! Bootleg Spinners, lewl. Everyone wants to get money out of this fab. I want to make a gif like that. Forget that, I saw some high quality Focus Spinners at a Walgreens the other day. 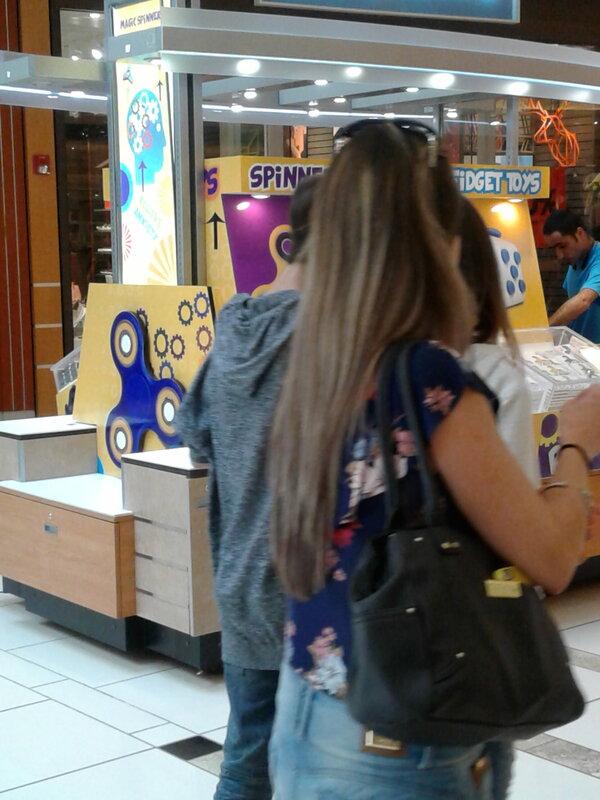 THEY HAD A STORE DEDICATED TO FIDGET SPINNERS. I didn't get a picture but it looked like an Apple store but everything was lower quality and instead of technology there were spinners. A booth or an actual store? Next thing you know, they'll be making official memorials for these trends. Not into them, but if I were to be offered one for free(and they are one of the more unique looking ones), I wouldn't say no.